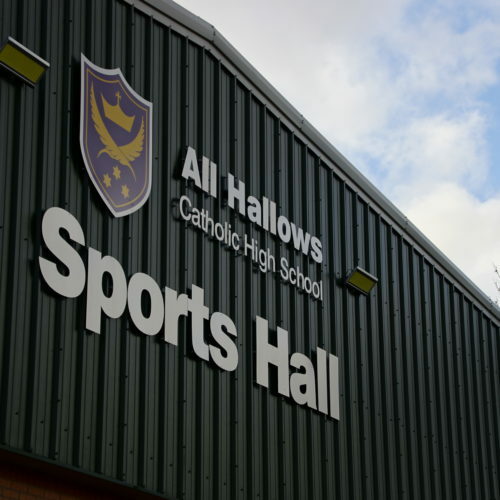 All Hallows Catholic High School was originally designed by Cassidy + Ashton in 1975. We have since been retained as their Architects for over 40 Years. 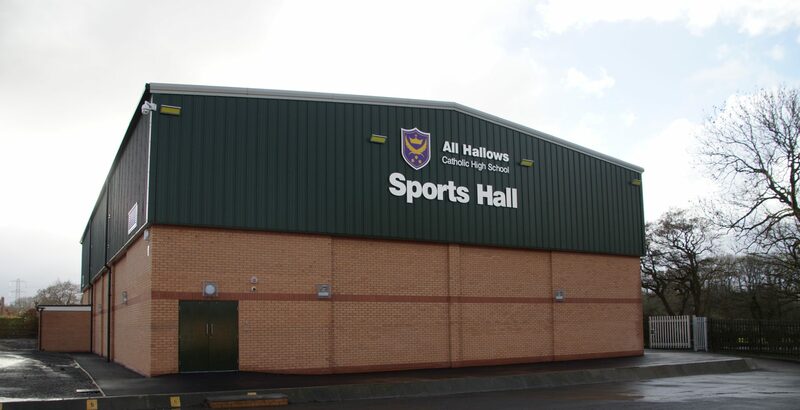 The latest project involves the provision of a standalone Sports Hall, on the former site of the redundant All Weather Pitch. We secured planning consent for the change of use from an All Weather pitch to a Playground area, which then allowed the Archdiocese of Liverpool to secure funding to provide this important facility. 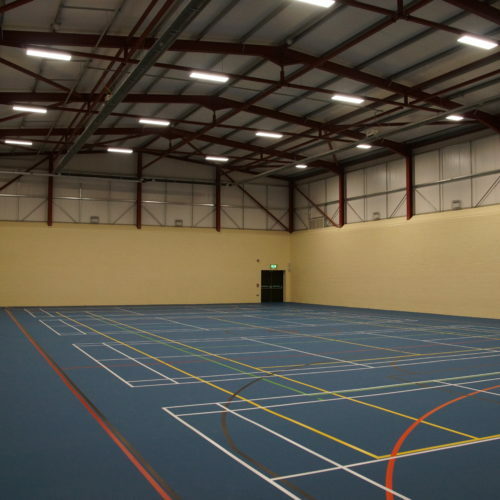 The School already had a Gymnasium and an Assembly/Sports Hall complete with Changing Accommodation. 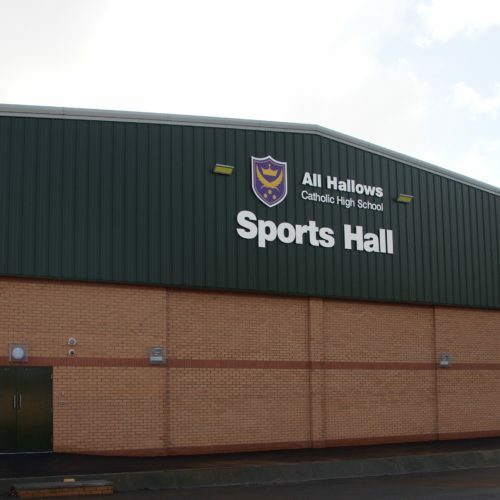 The new facility provides a bespoke Sports Hall designed to Sport England Standards, with an adjacent PE Store. It is a simple Portal Framed Building with Metal Cladding and Brickwork. Internally, the floor is marked out for a number of different Sports. 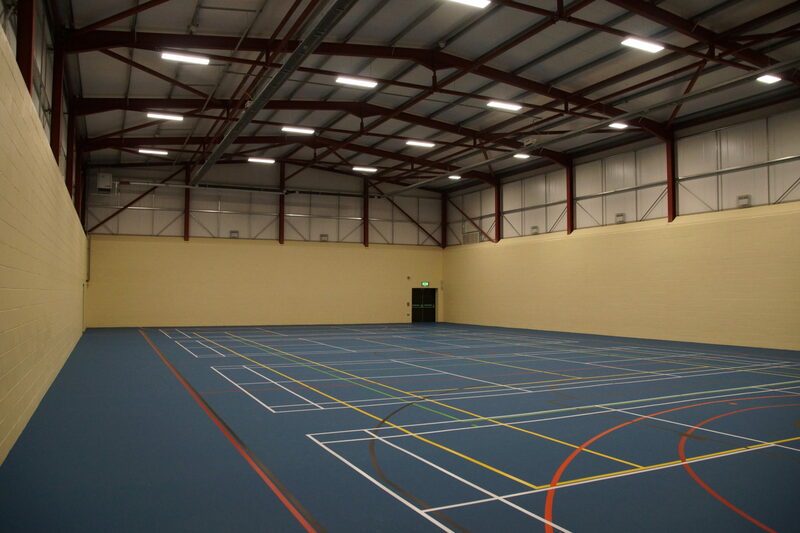 The space is heated by Calor Gas with radiant panels. The project cost was in the region of £650,000.00. 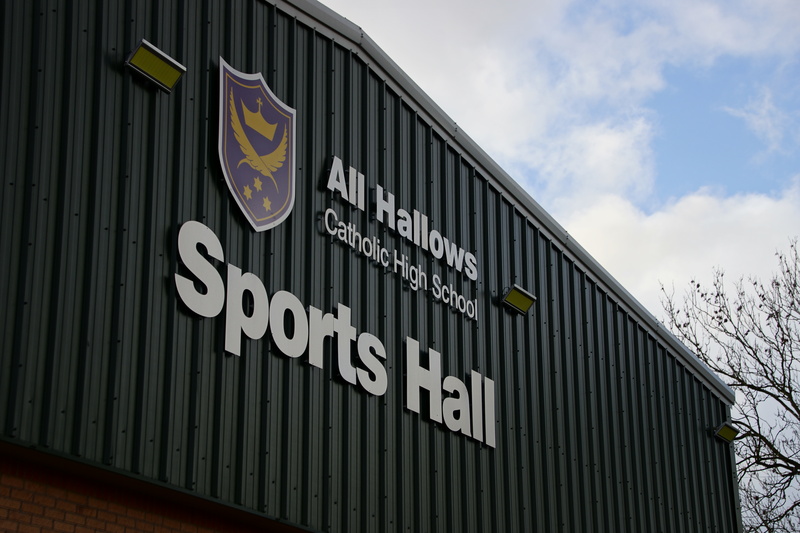 The new building complements the existing School Buildings and provides a much needed facility to enhance the exceptional Educational Facilities at All Hallows.